He Flew a Drone to Take Photos for a Friend. 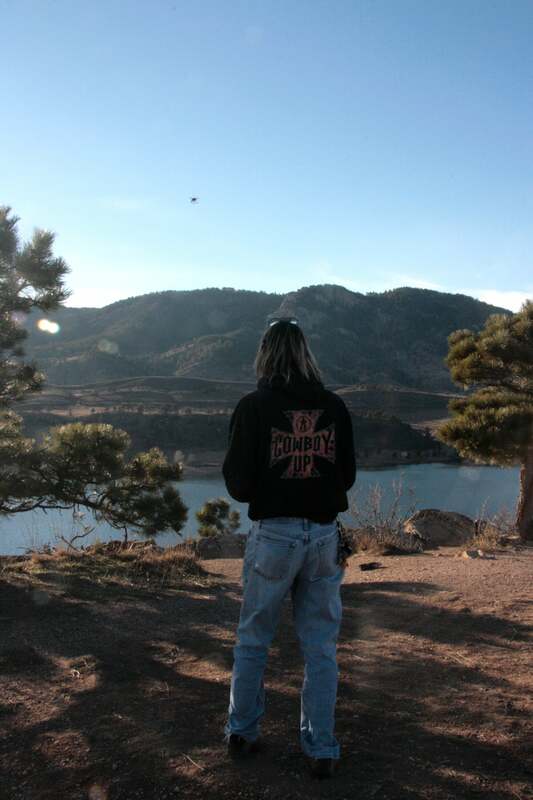 Now He’s Facing $55K in Government Fines. When the Minnesota man turned 56, he headed to Brainerd International Raceway and raced his Mini Cooper on its road course. With GoPro cameras fastened to the front and back bumpers of his car, he created a video and posted it to YouTube. That got the attention of GoPro, which invited him to a seminar where he was given a drone, a Phantom manufactured by the Chinese company DJI. Caterina’s interest in aerial photography started in August 2012, and he currently uses two DJI drones. An audio engineer by day, he’s since attracted the attention of local real estate agents and event organizers looking to hire him to take aerial photos using his drone. A resident of Eden Prairie, Caterina has turned down many offers, insisting he master the skill before charging people for his work. But what Caterina has considered a hobby—and an “addictive” one at that—has landed him in trouble with the Federal Aviation Administration, which has levied $55,000 in fines against him for violating five aviation regulations, all of which he disputes. 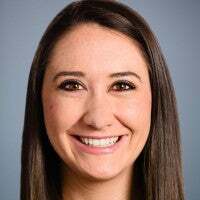 Caterina’s monthslong battle with the government underscores the frustrations drone hobbyists and commercial users have with the FAA as the agency has slowly debated how to keep the rapidly growing drone population under control. “The FAA is making this s— up as they go along,” Peter Sachs, a drone attorney based in Connecticut, told The Daily Signal. The FAA claims Caterina flew his drone for commercial use at an event in August 2015, though the Minnesota man has never charged anyone for his aerial photography and contends he’s only honing his skills. Still, that didn’t stop the government from classifying him not as an individual, but as a company, citing him for five violations with fines of $11,000 each. Despite Caterina doubting his own skills, a friend asked him in August if he wouldn’t mind flying his drone over a public event honoring Cecil, the African lion killed last year by a Minnesota dentist, an incident that sparked an international uproar. 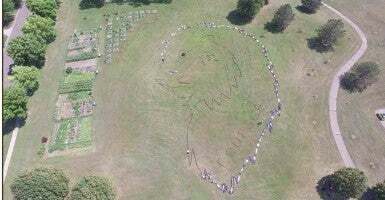 Attendees of the Aug. 15 gathering would form a “human lion” to pay tribute to the animal in a “grassroots memorial,” according to the Facebook page created for the event. Caterina was asked to fly his drone over the ceremony to capture the display outside Conway Community Recreation Center. Before agreeing to help out, Caterina told event organizer Kevin Foley he needed to make sure of several things: he wouldn’t be flying over any people, which he wouldn’t be; he wouldn’t be flying in a residential area, which he wouldn’t be; and he wouldn’t be flying within 5 miles of the closest airport, St. Paul Downtown Airport, which was 5.2 miles away. According to Caterina’s retelling, an aviation safety inspector with the FAA sent a letter to event organizer Foley on Aug. 14, one day beforehand, after learning that an aerial photo would be taken. In the letter, provided to The Daily Signal, the safety inspector outlined the definitions of an unmanned aircraft system and model aircraft, and detailed the differences between the two. After learning of the FAA’s correspondence with Foley, Caterina placed a call to David Nelson, the inspector, to discuss the upcoming flight. Caterina says he never heard back from Nelson. The next day, at the event honoring Cecil the lion, Caterina flew his drone 254 feet in the air, according to the flight data record from the drone, an Inspire 1 manufactured by DJI. According to the FAA, drones are not allowed to fly above 400 feet. The Monday following the event, Nelson returned Caterina’s phone call, and the two discussed Caterina’s drone use. On Aug. 18, Caterina received a letter from the FAA notifying him the agency was investigating his flight at the event. Though Caterina wasn’t required to respond, he sent a letter to the FAA on Aug. 24 detailing the flight and providing photos from his flight data recorder, as well as a map of no-fly zones in Minnesota, which included St. Paul Downtown Airport. Caterina also told the FAA he didn’t accept payment for taking the aerial photographs and said he only did so as a hobby. For nearly six months, Caterina didn’t hear anything further from the FAA. Then, on Feb. 5, he received a subpoena from the agency requesting all aerial photography and videography uploaded to his personal website, as well as all photos and videos uploaded to social media, including Facebook and YouTube, and information about his drone. On March 1, Caterina sent the FAA the requested information. For more than a month, the agency was silent. 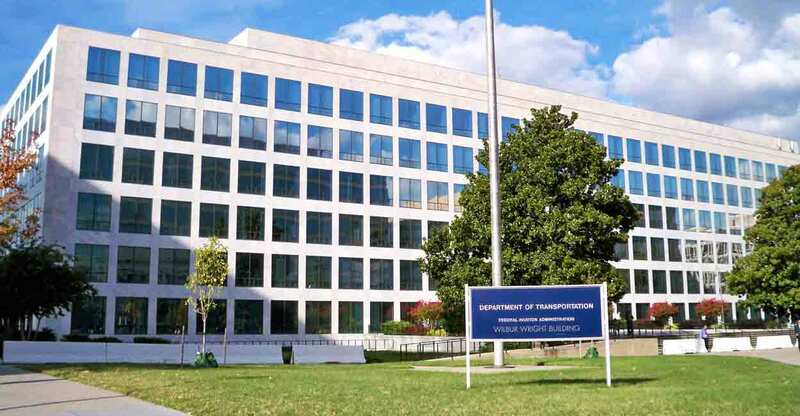 Then, on April 14, the FAA sent Caterina a letter telling him he had violated its regulations and was subject to fines totaling as much as $55,000. But the aviation agency made a mistake in its rundown of accusations, saying in a list of “facts and circumstances” that Caterina “did establish two-way communication” with air traffic control before the flight. An FAA lawyer sent an amended letter April 28, saying Caterina didn’t do so. An FAA spokesperson told The Daily Signal the agency couldn’t comment on pending litigation, but that the regional office where Nelson works typically acts in coordination with agency headquarters. As drone technology has evolved and drone use in the U.S. has grown in popularity, the FAA has struggled to determine how to regulate the aircraft. In 2012, when Congress passed the FAA Modernization and Reform Act, it tasked the agency with coming up with regulations to integrate drones into the national airspace. The FAA had until October 2015 to fully implement rules for commercial use of drones. The agency didn’t issue its initial notice of proposed rulemaking until February 2015, and the regulations, so far, haven’t been finalized. However, FAA Deputy Administrator Michael Whitaker told Congress last year the final rule will be published this month. “The FAA is jumping into this drone policy situation without a clear central plan for how these rules are going to be enforced, how they’re going to be defined, and what kind of activities are the sort that ought to rise to the level of an enforcement action,” Jason Snead, a policy analyst at The Heritage Foundation who has written extensively on the FAA and drone policy, told The Daily Signal. 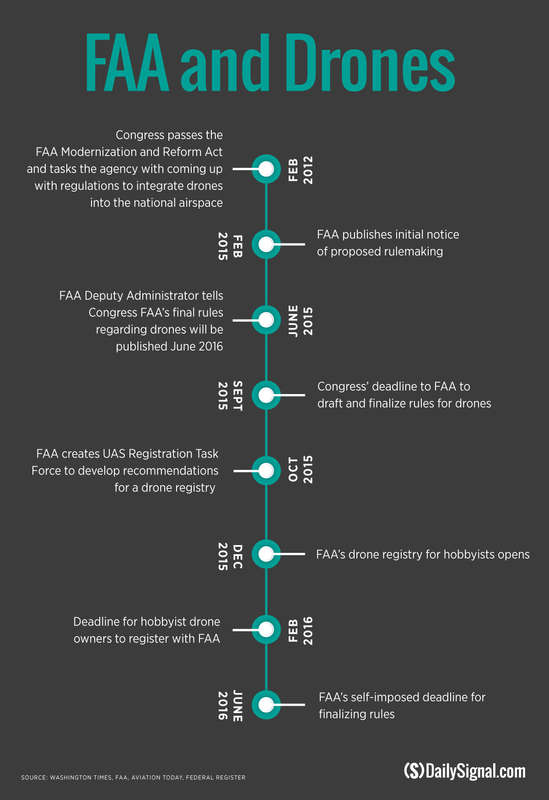 In the fall of 2015, the FAA created a task force to develop recommendations for a drone registry. On Dec. 14, the agency issued its interim final rule, which announced the registry would take effect seven days later. Under the FAA’s rule, operators flying a drone between 0.55 pounds and 55 pounds as a hobby are required to register their drone with the FAA. The registry opened Dec. 21, just in time for the holidays. Users who already owned drones had until mid-February to register their model aircraft. “If you’re flying for a hobby, then you’re not aircraft and not covered by anything the FAA would say unless you’re endangering something,” Taylor said. Because the FAA has yet to publish its regulations for commercial drone use, it has instead instructed any operator looking to fly a drone for nonhobby use to attain a Section 333 exemption. To date, the FAA has granted more than 5,200 exemptions. However, the agency warns that processing an application for an exemption can take up to 120 days. Prospective commercial operators also need a certificate of waiver or authorization from the FAA, to register their aircraft with the FAA, and either attain an airman certificate from the FAA or hire a pilot with an airman certificate. Richard Hanson, a government affairs representative for the Academy of Model Aeronautics, said many drone flyers operate “under the radar” to avoid the FAA’s regulations, which they say are burdensome. Caterina, anticipating he would switch from recreational to commercial use in the future as he honed his aerial photography skills, submitted a petition for a Section 333 exemption Aug. 10, five days before the Cecil event. The FAA still hasn’t processed his request. When the FAA issued its rule requiring hobbyists to register their drones, Caterina did so. 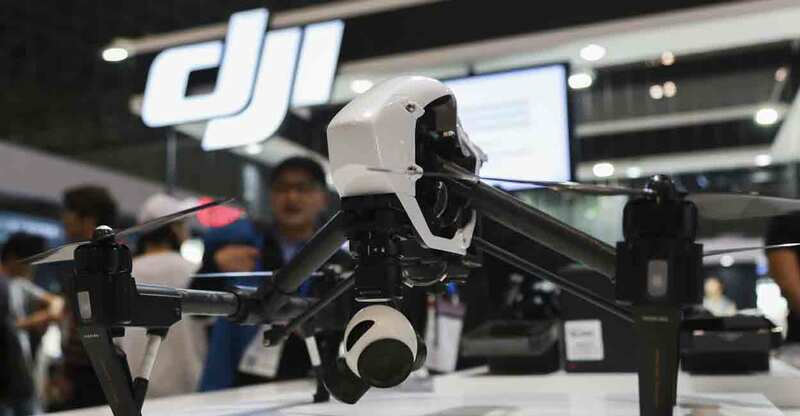 As the FAA has issued new and changing rules regarding drone use, experts have criticized the agency for failing to set clear expectations. Taylor cited differences in federal law regarding drone registration versus guidance issued by the FAA, and questions surrounding how high model aircraft can be flown. Heritage’s Snead agreed, and said the FAA’s inconsistencies are likely to deter people from purchasing and flying drones. So if you’re a recreational or hobby flier and don’t know where the divider is between commercial and recreational activity, you’re likely to engage in neither if you know the FAA can come after you after the fact. Since the FAA has failed to provide a clear and adequate definition of what these entail, the risk is real and costly. In Caterina’s case, the FAA first stated that he was not flying for hobby or recreational purposes, and thus violated regulations related to commercial use. Those violations included failing to register his drone with the FAA—needed for commercial use even before the FAA’s rollout of the drone registry for recreational use—and flying without an airworthiness certificate. According to the agency, Caterina also flew within 100 feet of a helicopter that was taping the event for a local news channel. But Caterina said a representative from the FAA wasn’t present at the event, and he insists the helicopter was at least 800 feet away from his drone at all times. Additionally, his model drone, an Inspire 1, has a No Fly Zone geofencing system, which makes it nearly impossible for Caterina to fly within 5 miles of an airport. When asked to interpret whether Caterina’s flight constituted recreational or commercial use, Sachs, the Connecticut lawyer, said it depends on the intent of the drone pilot at the time of the flight. Like Taylor, drone experts say the difference between commercial and recreational use is subjective. So the FAA, Rupprecht suggested, becomes the judge of whether the amount of fun had by a drone flier indicates recreational or commercial use. The FAA spokesperson pointed to Section 336 of the FAA Modernization and Reform Act of 2012 when asked to elaborate on how to differentiate between recreational and commercial use. 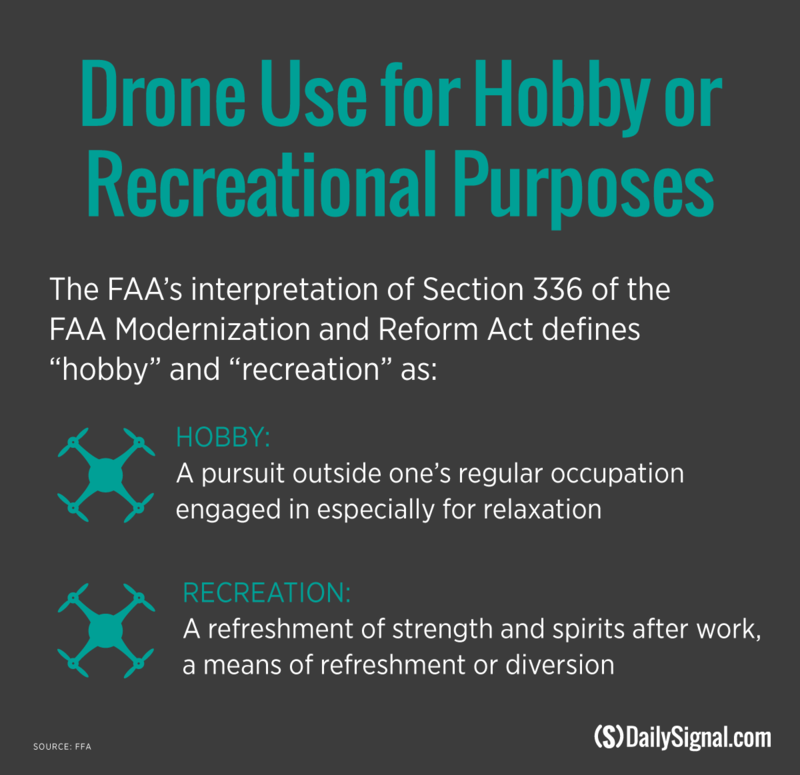 According to the statute, the FAA looks to the standard dictionary definitions of “hobby” and “recreation” regarding drones flown for hobby or recreational purposes. 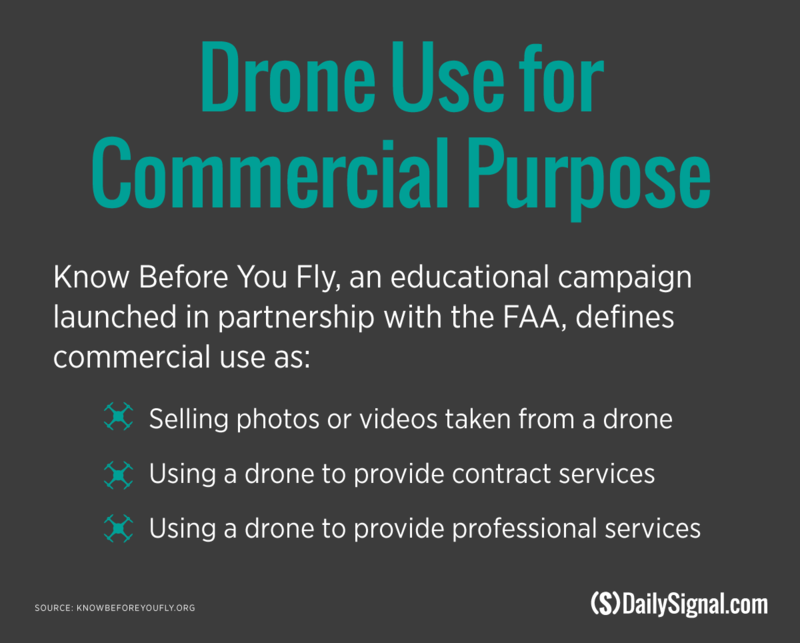 Commercial use of drones, meanwhile, constitutes selling photos or videos taken from the aircraft, using the drone to provide contract services, or using the drone to provide professional services, according to Know Before You Fly, a campaign launched by the Academy of Model Aeronautics and the Association for Unmanned Vehicle Systems International in partnership with the FAA. “It gets very problematic as a recreational guy because you have to go from zero to 60 very rapidly to figure out what’s compliant,” Rupprecht, who has authored two books on drones, said. According to the FAA, Caterina violated five regulations with fines of $11,000 per violation. Caterina has decided to challenge the FAA in court. I almost feel like they’re trying to bully me into paying this fee based on hearsay from some local guy who wasn’t there. That’s what I feel like with the FAA. They know I’m a small potato, little guy. The FAA has issued civil penalties to 24 drone operators or companies with fines ranging from $400 to $5,500, and most involving drones flown on the East Coast, according to documents obtained by Motherboard, part of the news organization Vice, through a Freedom of Information Act request. One aerial photography company, SkyPan International, was fined $1.9 million. Many drone operators and companies settled with the FAA, with fines dropping from $2,200 to $400, for example. Not only do you as a recreational flier and commercial flier have an unfair understanding of what you have to comply with, but you also have this issue of one transgression in one jurisdiction can land you one fine, but an identical transgression in another jurisdiction can land you a much more exorbitant fine. The statute governing aircraft operated in a “careless or reckless manner,” 14 CFR Section 91.13(a), is cited in every action the FAA has filed against a drone pilot, according to Motherboard. The FAA’s regulations—and federal law—are clear: It’s illegal to fly any unmanned aircraft so that it poses a hazard to manned aircraft or people on the ground. We want to make sure everyone is aware we’ll take enforcement action when anyone operates an unmanned aircraft carelessly or recklessly. As noted by Motherboard, the FAA has never charged a person solely for flying a drone for commercial purposes. Instead, the agency cites regulations pertaining to flying in a “careless or reckless manner” and flying in specific classes of airspace. Caterina notified the FAA of his intentions to fight the $55,000 in fines, but has yet to hear back from the agency. He said he hasn’t flown his drone since November.